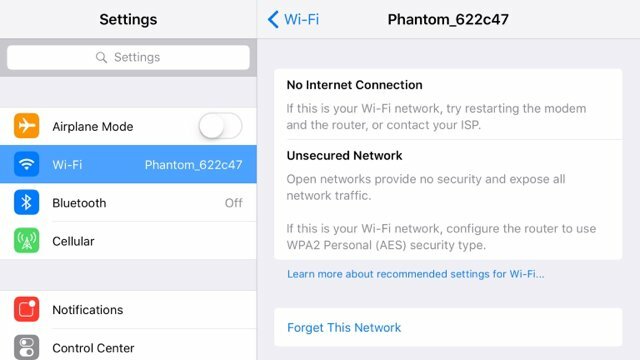 Having some struggles connecting to the phantom wifi network. I have a phantom 2 vision and and iPhone 7 plus. Seethe attached screen shots. I appreciate any insight the group has to offer. 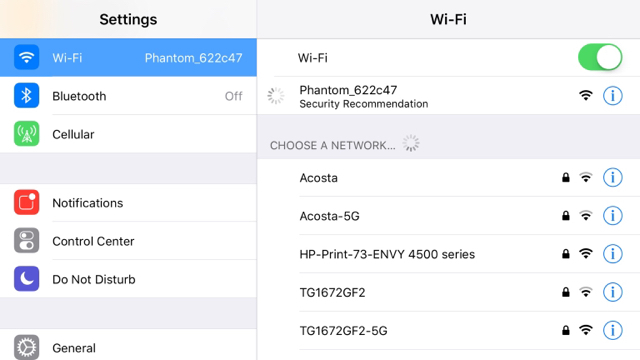 "Security recommendation" is IOS telling you that it's not a secure network. When I got to the DJI app to view the camera, it says "cannot connect to phantom." Is there a setting in my phone I can change to tell it this is a safe/secure network? Bloody IOS crap, i have no issues with the Iphone 6 plus but im still running ios9 on it, your best bet is to use an android phone to test the bird with unless you have another ios device not on ios10. If you want any info on the P2V or its apps take a look at my youtube channel, now updated for the P3A. 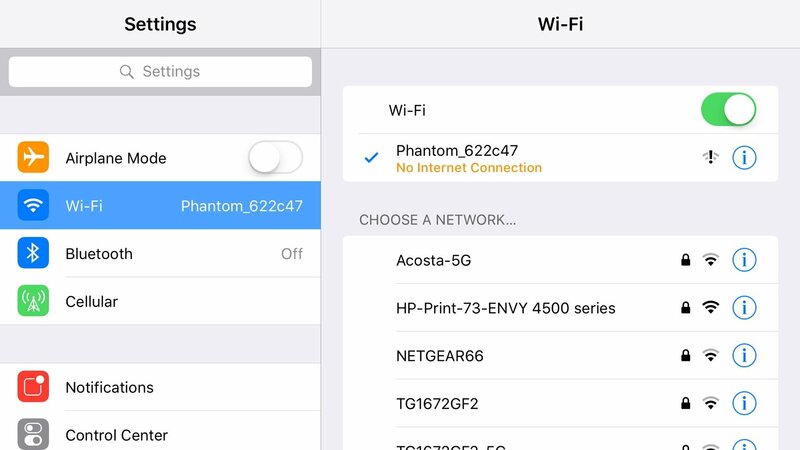 I came across your issue so I signed up here to tell you I have the same issue when connecting my Phantom Two Vision Plus today and it only started since I updated my iPhone 6 Plus. I flew the drone with no issues. I think it's just a new warning stating your not on the internet now. My wife didn't update her iPhone 6 Plus and my log on to hers was normal so it proves it's the update that caused the issue. Everything works as it should but it's a little weird to see. That being said I used my GoPro's on wifi and they got on without that warning. I'd say fly the drone and not worry about it. That's what I did today. Here's a screen shot I snapped. Good luck. Now that I'm a member I may as well look around lol.